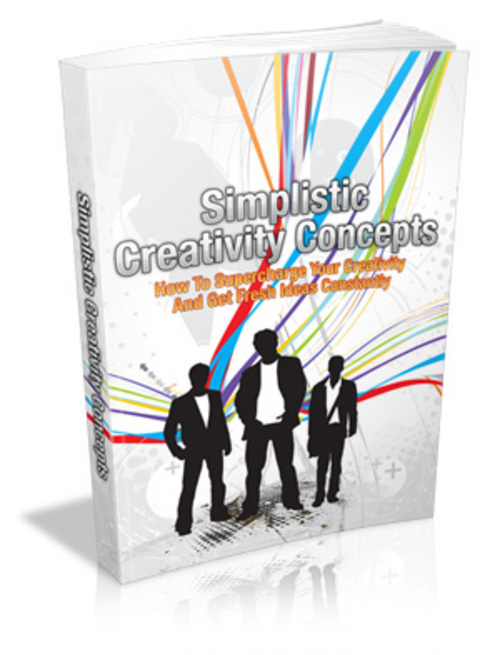 Simplistic Creativity Concepts - with MRR+2 Mystery BONUSES! Learn about how to supercharge your creativity and get fresh ideas constantly! *They don't know how about brainstorming. *They have no idea how to do things differently! *They are struggling with generating ideas. *They also don't understand how to collect ideas. With the strategies that Im about to let you in on, you will have no problems when it comes to supercharging your creativity and get fresh ideas constantly. BONUS #2: To make the deal even sweeter for you, we are even including two announced bonuses with it! Only those who purchase this product from us would be able to get the bonuses at NO cost!